Below is the Muslim Brotherhood's 1982 manifesto titled "The Project", apparently penned by Sa'id Ramadan, the brother-in-law of Hassan al-Banna, the founder of the Muslim Brotherhood. The Project was distributed to Muslim Brotherhood members around the world who were ordered to strictly guard The Project's content from outsiders. 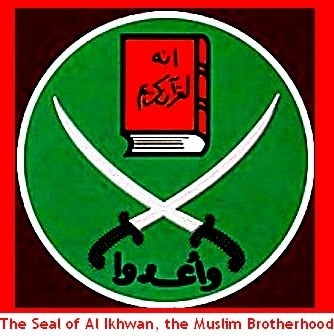 They did so until a copy of The Project was discovered during a Swiss police raid of a senior Muslim Brotherhood financier's home in Switzerland in November 2001.
advocacy groups, and publishing "academic"
All 25 elements of The Project are currently being implemented by the Muslim Brotherhood around the world, including in Europe, UK and America.